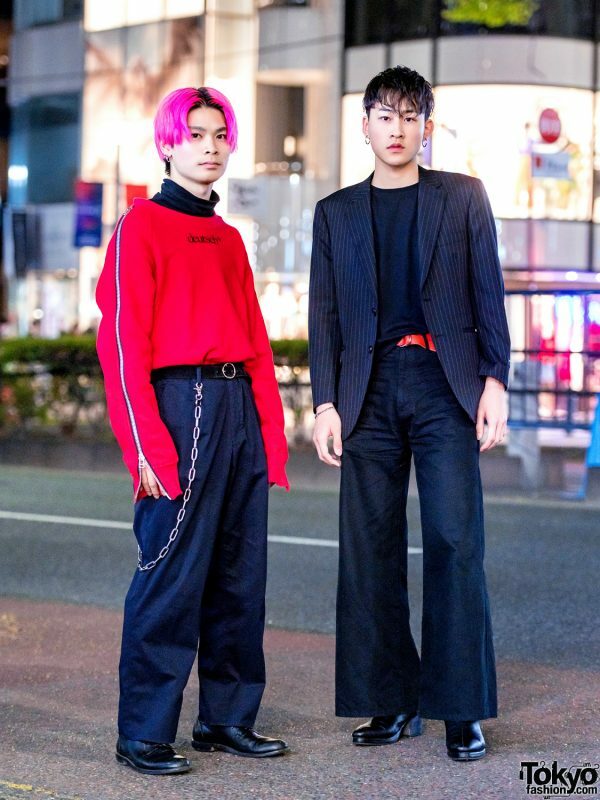 We spotted 19-year-olds Riku and Ryusei in Harajuku with their contrasting street styles that caught our attention. 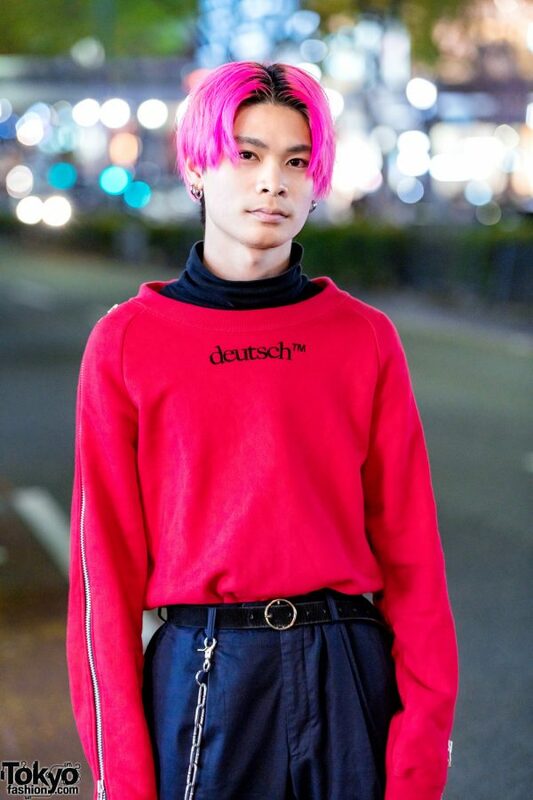 Pink-haired Riku donned a black turtleneck top under a bright red sweater with zipper trims from John Lawrence Sullivan. 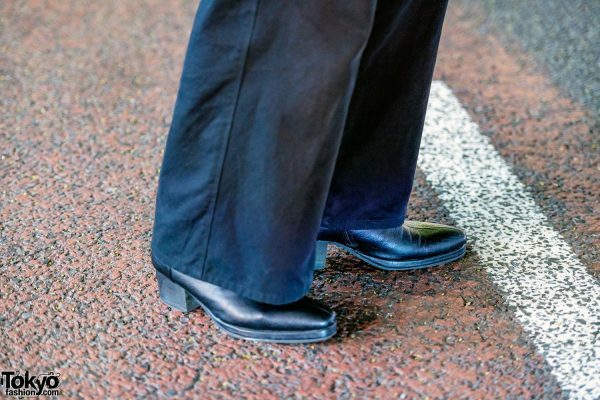 He tucked them into Burberry black pants with a black leather belt and a silver chain attached to one of the belt loops. 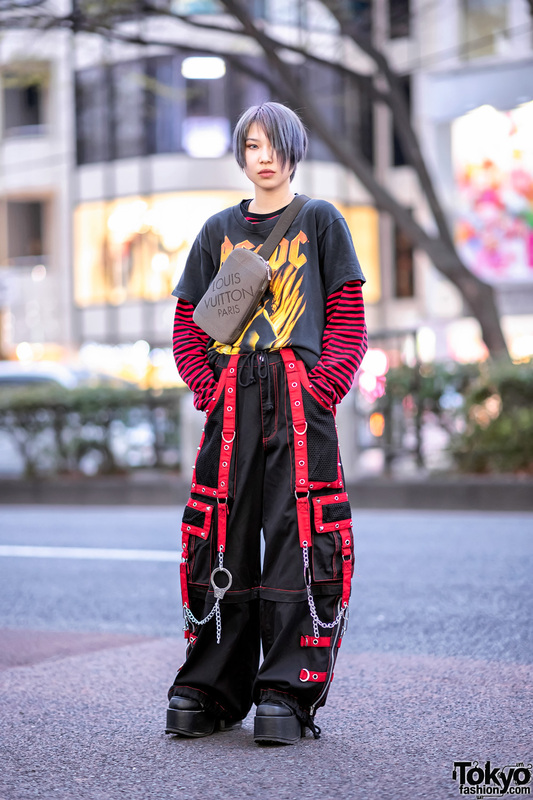 Riku finished off his look with hoop earrings and black leather lace-up shoes. 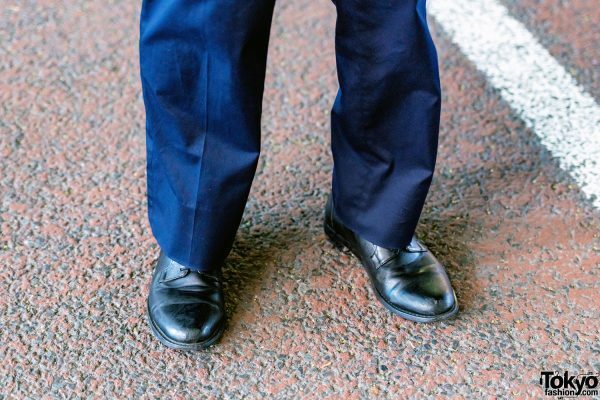 Follow Riku on Instagram to keep up with his social media updates. Meanwhile, Ryusei wore a black pinstriped blazer from Pierre Cardin over a black T-shirt from Ninety Four. He also wore black flared pants and Saint Laurent black boots with square toes and block heels. 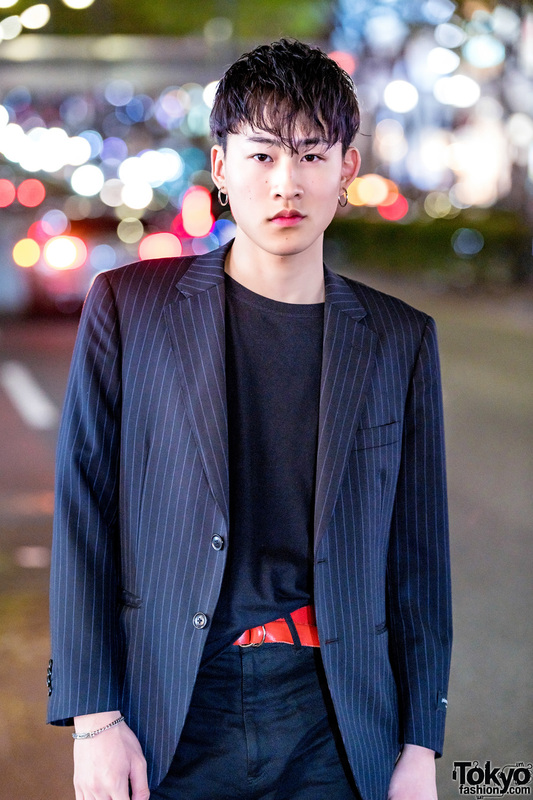 His accessories – some of which are from Diesel and Gucci – include large hoop earrings, a chain bracelet, and a red belt that added a pop of color to his look. For more on Ryusei, follow him on Instagram.